Providing the best possible customer experience has become more important than ever before for brick-and-mortar businesses. Low prices and large inventories are just not enough anymore. This is why more and more businesses are turning to technology for help. While there are many options to choose from, none compare to the popularity of digital signage. As with other forms of technology, the benefits of digital signage continue to expand year-after-year. 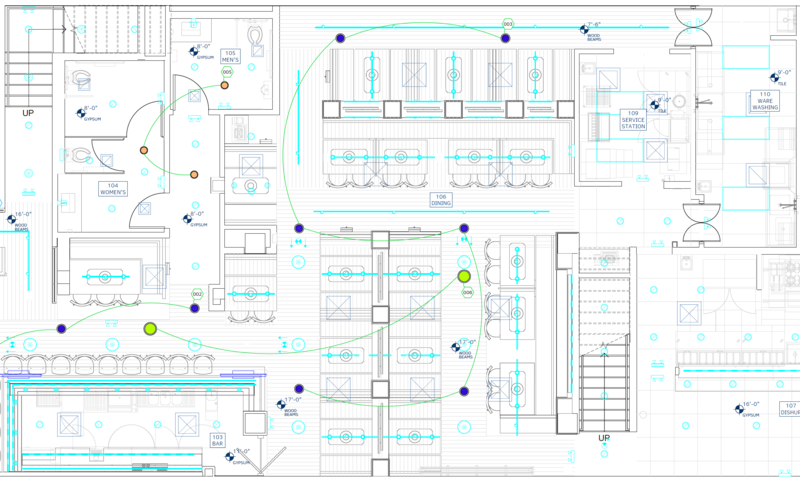 It’s quickly becoming the competitive edge for many businesses with physical locations. Digital signage is such a powerful tool because it can be implemented in countless ways. Companies across almost every industry have utilized this technology in their brick-and-mortar locations to meet the unique demands of their customers. In this way, the benefits of digital signage are nearly too many to count. However, the following seven are the most relevant for the vast majority of companies. Engaged shoppers are more likely to become actual customers. This is why it’s vital for brick-and-mortar businesses to ensure they have a plan in place for providing shoppers with the information they need to feel comfortable making a purchase. If you’ve ever had the experience of waiting around a store for an employee to ask if you needed help, you know what it does for that company’s prospects of ever receiving your business again. You may go ahead with a purchase, but you probably won’t return. As digital shopping continues to mold customers’ expectations – also known as the Amazon Effect – retailers need to keep pace by providing similar self-service options. Digital signage engages shoppers without requiring employee interaction. As a result, they get the information they need to make a purchasing decision and employees are free to provide help where only a human can. With digital signage, displays in numerous stores located throughout the country can all be changed at the same time from one remote location. If a company wants to advertise a new product or announce an upcoming sale, they can create a new ad, confident that it will be deployed across all of their locations at the same time with the exact look they want. So, while one of the benefits of digital signage is the capability to quickly implement new sales, offers, and products, it’s also the best way to keep your brand consistent across different locations. The concept works in reverse, too. 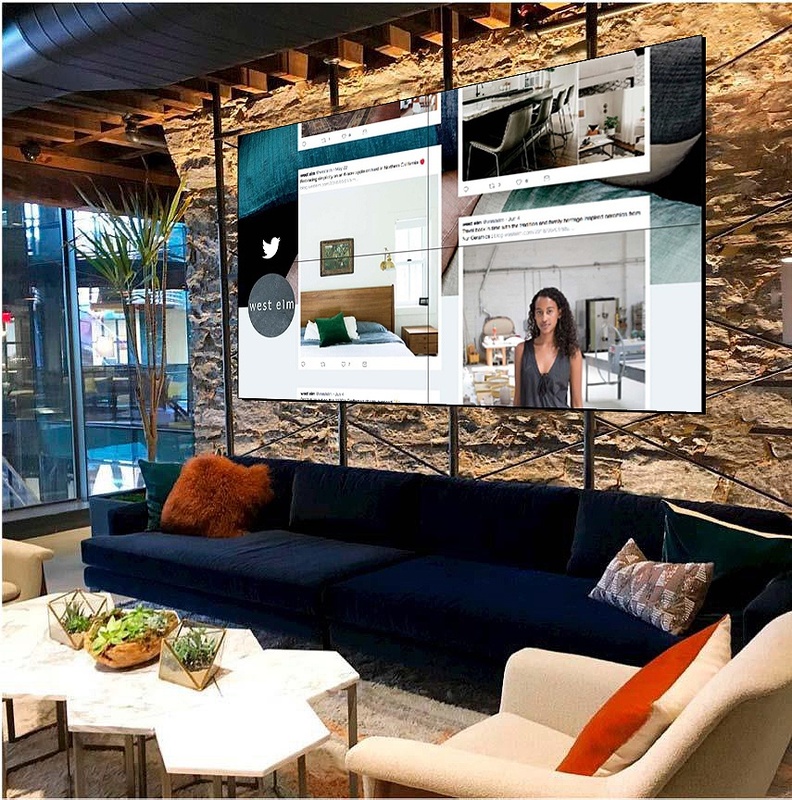 Companies can quickly pull offers completely or retool their marketing efforts without going through the lengthy – and costly – process of removing traditional displays and creating new ones to replace them. Companies don’t have to manually trigger these changes, though. By using rule-based software, one of the benefits of digital signage is that you can program your displays to change throughout the day. This isn’t possible with traditional forms of signage – or at least not very convenient. For example, most fast casual and fast food restaurants use menu boards to display their prices. Many of them would also benefit from changing their prices during the morning commute, the lunch hour rush, and for happy hour. This is easy to do with rule-based software that makes these changes at preprogrammed times. Similarly, many retailers offer special deals on the same day of every month (e.g. the first day, the first Friday, etc.). Once again, displays can be programmed to advertise that sale the week prior or change prices on that date. Rule-based software can also be used to decide which displays will show which type of content. So, in a retail location, different screens throughout the store could display different ads for the upcoming price changes. 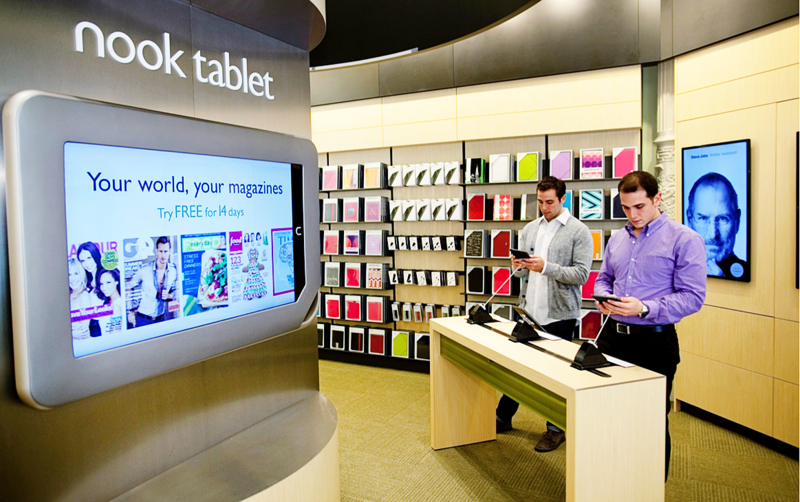 The benefits of digital signage aren’t limited to the in-store experience, either. Displays can also be used to attract passersby who may otherwise have never entered a brick-and-mortar business. While any type of display may attract attention – traditional signs, product displays, mannequins, etc. – digital signage has a very powerful advantage: it can leverage motion. This is one of the reasons digital signs capture an average of more than 400% more views than that of static signs. Curious about what hardware components are involved in displays? You can check that out here, in our comprehensive hardware blog. That’s not all. Research shows that unexpected changes in direction can also be used to solicit specific responses. So, while movement is enough to garner attention, manipulating it in certain ways can actually influence people to move toward it, as well. The goal for many in-store ads is just to get customers to take action right away: place an order, make a purchase, or follow some other kind of direction. However, other times, the goal is to let shoppers know about upcoming events – sales, promotions, in-store appearances, etc. When the display utilizes video, one of the benefits of digital signage is that it results in higher recall compared to static ads. The increase isn’t some small amount, either. When the effects of digital billboards were studied, 83% of people recalled at least one ad they were shown over the past 30 days. 65% recalled 2 and nearly half – 47% – recalled 3. What’s more, almost one-in-five people talked about the ad they saw on a digital billboard with someone else – spreading the information to people who may otherwise have never known about it. Now, we know this is due to the combination of display movement, graphics, and content. Content, arguably, also plays a significant role in recall and retention. No one likes waiting in line. In other words, people have a much easier time waiting in line when there’s something to take their mind of the actual wait. Research backs up this claim. According to a recent study on checkout lines, 69% of shoppers said long lines were the most irritating part of shopping. That beat out high prices (66%) and inventory being out of stock (65%). 84% of those customers said watching digital displays helped them pass the time while they waited. Many restaurants understand this concept, as well, which is why they often hand out menus to customers who are still waiting to be seated. This distracts them from the wait with the added benefit that, once they are seated, they’re generally ready to order much sooner, too – meaning their table will be available for other customers much sooner. Retail locations often use display screens near till points for this very reason. They can distract customers with videos related to their products, but they may also elect to display news, weather reports, or sporting events. Like many of the other benefits of digital signage, this one offers more than one advantage. Customers are less frustrated with waiting and companies are able to advertise to them, prepare them to place their order, or use the technology in other ways that boost their bottom lines. Most of the benefits of digital signage can be further optimized thanks to the host of analytics these systems are able to support. For example, a display that allows shoppers to check a store’s inventory will produce that all-important engagement we mentioned earlier. However, digital signage analytics software can also report which products are searched for the most. If sales aren’t consistent with this interest, it might be time to lower the price or otherwise improve its perceived value. This level of interest wouldn’t be apparent if shoppers left the store without buying, even though they valued the product. Displays can even be outfitted with video cameras that record the eye movement of shoppers, revealing which areas of the display attract the most attention. Dwell time can be captured the same way, showing stores where the most traffic occurs. Furthermore, these analytics can also be used to improve the displays themselves. For example, you might find that most shoppers only stick around for about 10 seconds of the 20-second video you play on loop. If that’s the case, you either need a more compelling video or it’s time to create a shorter version. 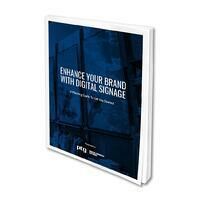 HOW DIGITAL SIGNAGE CAN ENHANCE YOUR BRAND. SUBSCRIBE TO OUR NEWSLETTER AND GET YOUR FREE DOWNLOADABLE GUIDE TODAY. One final advantage worth mentioning is customization. These days, businesses can create the ideal solution for each of their brick-and-mortar environments, utilizing the benefits of digital signage that make the most sense for their unique needs and bypassing others that would have no impact. So, no matter what kind of business you run or market you serve, if your customers buy from you in-person, digital signage has become an essential tool for all of the reasons listed above. This technology will attract and engage customers, ultimately, leading to more sales. The first step to leveraging the full potential of digital signage is developing an understanding of what it is, how it works, and all that it has to offer, which you can review here. Marketing Director. Engaging Technology for Customer Experience. Audiovisual and sound for customer engagement. Background in written communications and publication production, including technical writing. Promotion Technology Group (PTG) creates, installs and services commercial audio, video and interactive experiences that build customer engagement no matter the setting. For nationwide audio, video and interactive solutions, we’re ready when you are. Copyright 2019 PTG. All rights reserved.